Have HonesT Delivered directly to your door! Have	HonesT delivered to you, anywhere on Koh Samui! For only 100 baht! 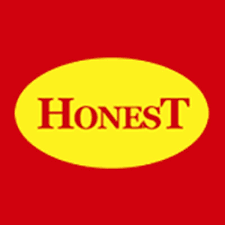 HonesT brings you authentic, warm Indian cuisine from the beautiful beach that is Lamai beach. Classic and modern dishes, with the freshest ingredience to make every bite taste like heaven. A hot veggi dish, simple yet healthy with a cumin flavour potatos & a varitey of spices. Served with 2 pieces of paratha or a bowl of rice along with raita and pickle. A taste of India - Dal Makhni is recognized as a quientessential dish in India, made with black lentils, red kidney beans, butter and cream. Dal Tadka is a traditional dish, made with chilli powder, garlic, ghee and oil. Served with 2 pieces of paratha or a bowl of rice with ratia and pickle. Mix cornflour, riceflour and little salt in a bowl idlis. Chopped with the onion, tomatoes, cube the bell pepper, green chillies and crushed ginger garlic. Served with 2 pieces of paratha or a bowl of rice with raita and pickle. Consisting of Indian cheese (paneer) in a thick paste made from pureed spinach, seasoned garlic and other spices. Served with 2 pieces of paratha or a bowel of rice along with raita and pickle. This aromatic subzi gets its characteristic green colour and fresh flavour from a marinade of coriander, mint and green chillies. The addition of cashews and curds to the marinade imparts a rich flavour and creamy texture to the paneer, giving this subzi a luxurious feel. Served with 2 pieces of paratha or bowl of rice along with raita and pickle. Papri chaat is traditionally prepared using crisp fried dough wafers known as papri, along with boiled chick peas, boiled potatoes, dahi (yogurt) and tamarind chutney and topped with chaat masala and sev. Served with 2 peices of paratha or a bowl of rice along with Raita and pickle. Loaded with diced potatoes, onions, three types of chutneys: tamarind, chili and garlic and topped with sev. It is seasoned with raw mango, when raw mango is in season or with a hint of lemon and chaat masala. Served with 2 peices of paratha or a bowl of rice along with raita and pickle. A thick, rich gravy made with a mixture of vegetables, onion tomato paste, spices, cream and milk. The gravy is medium spicey with a slight tang of tomatos. Served with 2 pieces of paratha or a bowl of rice along with raita and pickle. Chicken Tikka Masala contains chunks or roasted manirated chicken, in a spiced sauce that includes tomatoes purée, cream, coconut cream and spices. Served with 2 peices of paratha or a bowl of rice along with ratia and pickle. This curry consists of chicken stewed in an onion- and tomato-based sauce, flavored with ginger, garlic, tomato puree, chili peppers and a variety of spices, often including turmeric, cumin, coriander, cinnamon. Including 2 pieces of paratha or a bowl of rice along with raita and pickle. Delicious butter, lemon juice, ginger-garlic paste, 1 teaspoon garam masala, chili powder, cumin and bay leaf. Served with 2 pieces of paratha or a bowl of rice along with raita and pickle. Vindaloo is a hot and spicy dish from the Goa region of India. Its heavy use of vinegar and chicken. Served with 2 peices of paratha or a bowl of rice with raita and pickle. Panipuri is a common street snack in several regions of the Indian subcontinent. It consists of a round, hollow puri, fried crisp and filled with a mixture of flavored water, tamarind chutney, chili, chaat masala, potato, chickpeas and onion. Thin crepe that is made of fermented rice and lentil batter mixed with veg and meat of your choice. Indigenous to South India, Plain Dosa is a quick meal recipe made with fermented batter of rice. This simple recipe is pan fried and is extremely popular across the country and is best served with tangy flavoured sambhar and coconut chutney. Served with 2 peices of paratha or bowl of rice along with raita and pickle. Lassi is a simple yougurt drink, blended with either spices or fruit.